First of all, let me just say how BEAUTIFUL that cover is. Like O.M.G. Love it. Okay, so there are two main characters of this book, first the caring, heartfelt, and confident Sam and second the gutsy, brave because she has to be, and vulnerable because she’s alone protagonist Ana. I loved the character of Ana very much. I feel like many people could relate to her. She feels very alone, since she is literally the only one of her kind a “newsoul”. Her life is sort of tragic, with a mother who hates her and abuses her, which leads Ana to also have a very self-deprecating trait about her. She is constantly putting herself down and calling herself “no soul”. Not because she is like other YA female characters who basically normal, but are all boo-hooing, but because she was actually raised to believe all these horrible things about herself. It was a beautifully tragic aspect of her character. Ana is all great things that a protagonist should be – brave, outspoken, beautiful, eager for knowledge, but does have this one flaw. In that way, I think the character was very well-developed. Sam, is also a great character. Honestly, with most YA male characters I rate them on whether they were swoon-worthy or not. Sam, is not very swoon-worthy to me, but I totally like him with Ana. I guess I just wasn’t drawn to him, which is weird. He is musical, wise, and beyond caring. He also has his own faults, which manifest through his fears throughout the book. I guess I just found it a bit ircky and weird that he had been not only a he, but a she many times through the reincarnations. The only reason this bothered me was because he seemed very masculine, strong, and confident, but not very feminine. You’d think since he is so wise and smart due to all his past reincarnations, that the feminine traits would show strongly while he was a man, and the masculine traits would show strongly if he were a woman. I guess, after thousands of years living as both sexes, I would think everyone in Heart would be sort of genderless. I don’t know, I guess this is a part of the book that I just don’t think is explained enough. The entire world is immensely different. It seems like it is dystopian from Ana’s view, but Utopian from all of the citizens of heart. I found the world intriguing, but limited. The only city we found out about was Heart. Is it possible that in this entire world there is only one population in one city? I just found that hard to believe. Although the world did have this flaw, I did find it beautiful. It was so NOT cookie cutter YA dystopian. It was so out there, almost like an alien world. There were fantastical creatures too, like dragon and fire creatures called Slyph. I feel like this world has many possibilities to build on through the series, which I hope the author keeps doing. I really hope that in the rest of the series we are not just always stuck in the city of Heart. What is beyond its borders? Such a mystery. The plot was also different. It didn’t have the normal big moments that are expected to carry a plot on like other reads. Instead, it seemed like the character progression, relationships, and gained knowledge moved the story. As the world opened up to you, bit by bit, like an opening flower. I think many people could get stuck with this kind of plot, and get bored easily. I think the reader has to be able to acknowledge good writing and appreciate this different world. I can’t think of much that was similar, honestly. This book was so different and out of the ordinary. It was as beautiful as its cover. If I had to say one thing that was similar, I would say the masquerade ball scene. It was what the book was building up to, so it was slightly predictable. This type of ball is very common in YA books and authors using it for a plot twist. In this book, I didn’t really mind that it was predictable, because I was looking forward to it so much. I couldn’t wait to hear about what everyone was wearing, as the fashion is quite different. There is also a very hot scene within the whole masquerade ball scene. The ball was one of my favorite scenes of the book. The setting was in a world were the city of Heart is where all the inhabitants live. Those who live outside it are seen as outcasts, usually. Outside its walls there are many deadly creatures roaming around. The city itself as a setting is very well explained throughout the book. I think this is one of the books strong points. From the fashion, to the rules, to their god Janan, and to the wall’s heartbeat, it was a well-developed world. This type of world I think could have been very cheesy, but the author avoided that very well. I am actually not quite sure. This is not like a post-apocalyptic world where the world used to be normal. This is a completely different universe, but the speech is contemporary, while much of the fashion is parts of the books is a bit futuristic. It seems like the world is a mix of old, current, and new. Overall, I only gave this book a 4 out of 5. I did enjoy this book and will be looking forward to the next one, as I really have no idea where the author will take this world. There are so many mysteries to be uncovered. 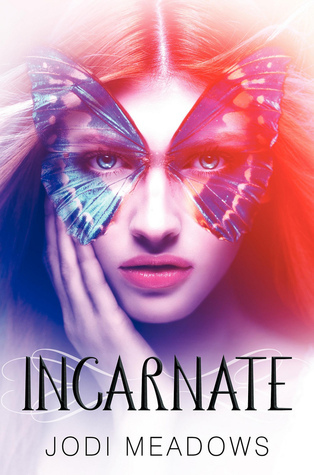 The reason I did not give this book 5 stars is just because of the weirdness with reincarnation, even though I knew that was what the book was about. The fact that Sam had been a guy and a girl hundreds of times just weirded me out. I feel like that added fact was just too confusing and something the author could have built upon more. I do like that it was telling the reader that love is love, no matter what. That is a good lesson to take from this book. I guess the only reason it weirded me out is that if I was in the world, and identified as female, it would piss me off if I was born as a guy. Overall, I recommend this book. I love the cover too, and I agree that I would be weirded out if i was reborn a boy. 🙂 Great review!